well, it’s june now!! and garlic scapes are ready to eat. last year this fine lad helped me pick those fine edibles. this year two lovely fairies picked them for me while i was out of town. thank goodness. thousands at a pop! 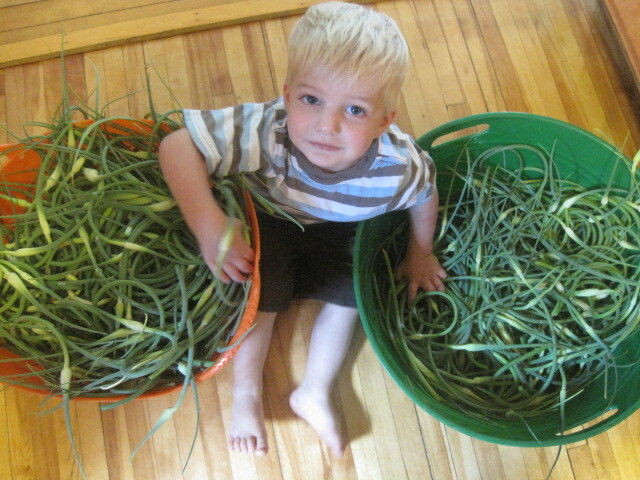 come to the market this saturday, june 25th for some scapes. along with freshly made garlic powder, shallot pepper and good old rhubarb.